Careers are always in flux. The word “career” was initially a verb. The Oxford English Dictionary will tell you that “to career” has meant (and still does) “to turn this way and that in running (said of a horse).” Our word for a way to understand our work lives derives from that verb, and still carries the meanings of (sometimes sudden) change and (often dangerous) speed. We are witnessing a particularly interesting moment in the history of careers for people with degrees in the humanities because the labor market and the industries for which graduates can work have changed dramatically under the influence of new information technologies. These technologies both define the new jobs, so we hardly know what all we will be able to do ten years from now, but they also offer new possibilities of learning about how careers work and allow individuals to do much learning and a lot of work independently from other people and away from institutions. 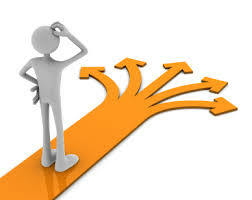 The number of online sources of information and suggestion about how to develop a career is great. These sources are easily accessible. Some of them even take questions from readers, and some of them are affiliated with academic institutions and research institutes that conduct extensive and ongoing studies of the labor market, office and corporate culture, higher education, industrial change, and other fields related to career planning. Career Insider provides an enormous amount of information about careers, companies, career advice, labor market surveys and particular skills that are in demand across professional fields. You will have to register on the website in order to use all the resources. 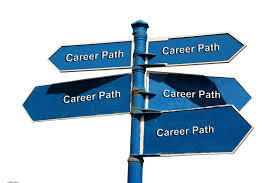 Career Overview is a website that allows you to personalize your investigation of career paths that may be of interest to you. Depending on your degree and your desired career field, the site will provide you with basic information about the skills and training commonly required in particular industries, and suggest how to go about landing an entry-level position of the kind you desire. 80 Thousand Hours is a website that offers information based on academic research into the ethics of work and employment. The writers for the website are affiliated with the University of Oxford Uehiro Centre for Practical Ethics. This is a helpful website if you are looking for a job in which you wish to do meaningful work. The website offers to provide answers to questions such as, Which jobs help people most? and, Which subjects should I study? They say they offer “free, evidence-based advice on careers that make a difference.” They even offer a free career advice session. 35 Awesome Jobs for English Majors is a list of jobs that reflects the recent changes in the shape of industries that hire English majors. The writer is familiar with the skills that English majors develop and suggests here that English majors can do anything from writing and editing for a number of print and online venues, to policy research and writing, to sales and investment banking. The author of this list also offers help in the form of an entire ebook titled How to Find a Career with your Humanities Degree in 126 Days ($10). The fact is that there are a lot of careers out there, and most undergraduates don’t have enough experience in the world to know what the options are. Our ideas about possible careers are informed by what people we know do and what we see on television. That’s not a very large sample set. What’s needed is experience. And there are ways that you can get that while you are in school. Find internships, service learning, co-operative learning, or volunteer opportunities. Travel. Work somewhere other than your home town in the summer. Talk to people you know who seem to like their jobs, and ask them what they like about them (people usually like to talk about themselves and what they love, if you catch them at the right moment). And keep your eyes open. Let the problems in the world dictate what you do, rather than forcing a preconceived checklist labeled ‘success’ to be your motivation. Do something that genuinely helps others and makes the world a better place in a major way. That’s the way to have a happy, fulfilled life.